Laura Poitras, Academy Award-winning director of CITIZENFOUR, returns with her most personal and intimate film to date. Filmed over six years, Risk is a complex and volatile character study that collides with a high-stakes election year and its controversial aftermath. Cornered in a tiny building for half a decade, Julian Assange is undeterred even as the legal jeopardy he faces threatens to undermine the organization he leads and fracture the movement he inspired. 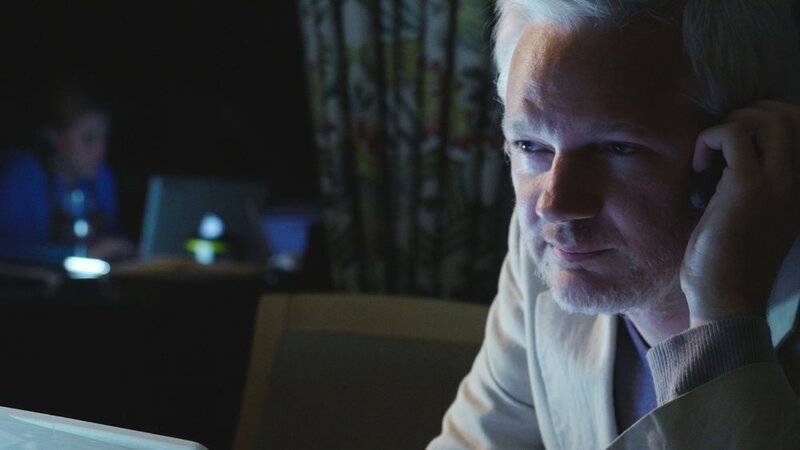 Capturing this story with unprecedented access, Poitras finds herself caught between the motives and contradictions of Assange and his inner circle.In a new world order where a single keystroke can alter history, Risk is a portrait of power, betrayal, truth, and sacrifice. Executive Produced by Sam Esmail, creator of Mr. Robot. Laura Poitras is a filmmaker, journalist, and artist. CITIZENFOUR, the third installment of her post-9/11 Trilogy, won an Academy Award for Best Documentary, along with awards from the British Film Academy, Independent Spirit Awards, Director’s Guild of America, German Filmpreis, Cinema Eye Honors, Gotham Awards and others. Part one of the trilogy, MY COUNTRY, MY COUNTRY, about the U.S. occupation of Iraq, was nominated for an Academy Award. Parttwo, The Oath, focused on Guantanamo and the war on terror, and was nominated for two Emmy awards.